All-mountain riding has become increasingly popular in recent years. These bikes are typically optimized to not only descend excellently, but they can climb well too. 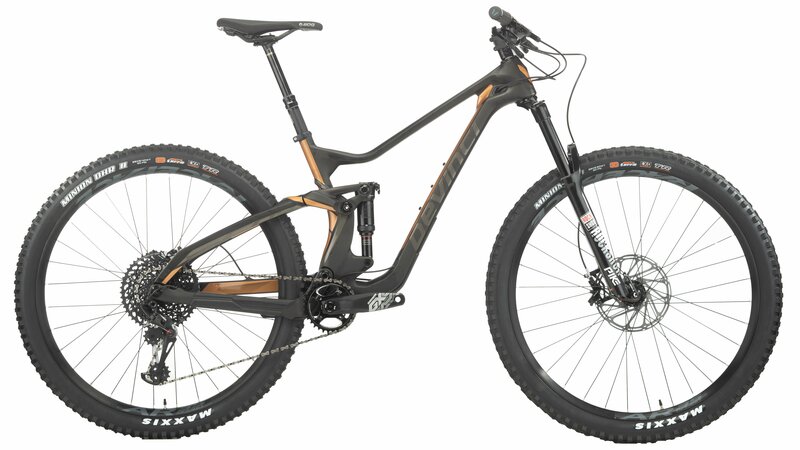 The Devinci Troy Carbon 29 GX Eagle 12-speed all-mountain bike is designed to conquer all the mountains around. 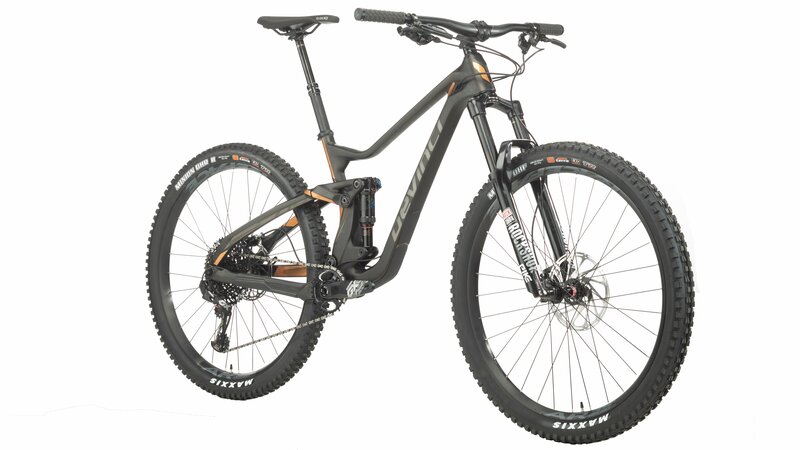 It is built upon a Devinci DMC-G carbon fiber frame with a fifth-generation Split-Pivot platform that separates braking and acceleration forces, Super Boost 157, a threaded bottom bracket, a relocated adjustable geometry flip chip, low standover height, and tire clearance for 29x2.4". 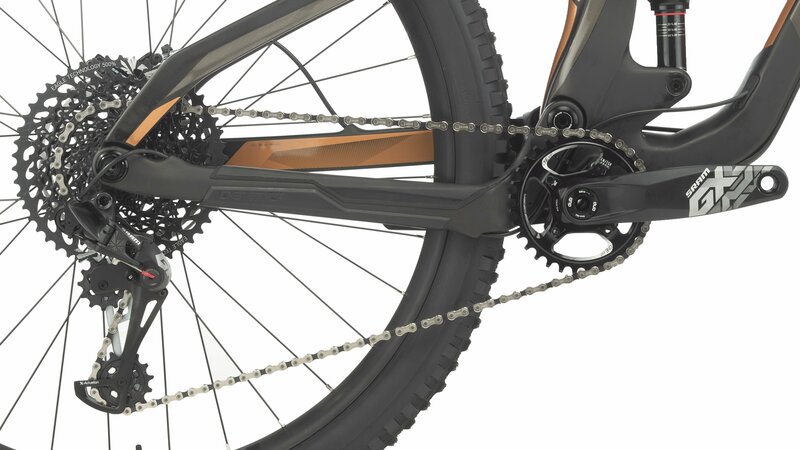 This version of the Devinci Troy Carbon 29 comes with SRAM GX Eagle which provides a 1x12-speed drivetrain with an insane gear range. This includes a SRAM GX Eagle shifter, rear derailleur, crankset, and chain. The XG1275 12-speed cassette has a 10-50 tooth gear range and is paired with a SRAM GX Eagle Super Boost crankset with a 32 tooth chainring. 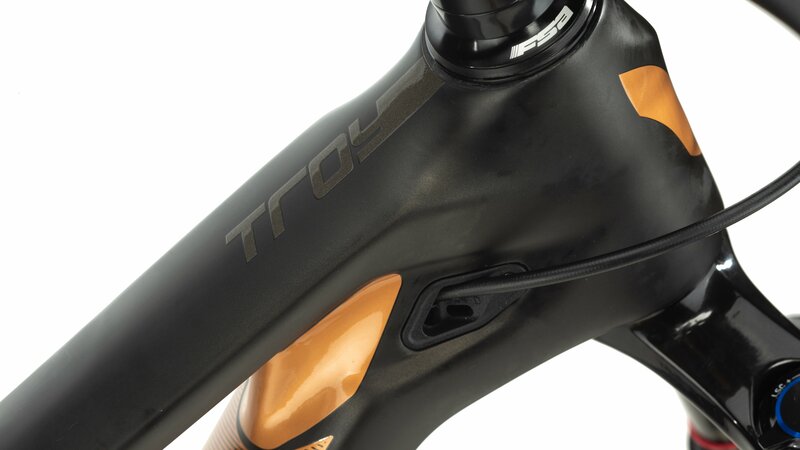 This combination will provide all the gearing needed for those steeper hills while not sacrificing top-end speed. 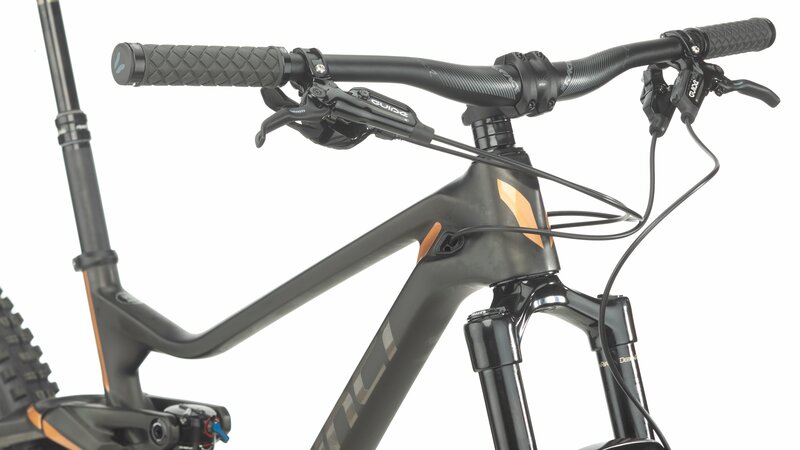 When you're descending down the mountain, the SRAM Guide R hydraulic disc brakes will provide the confidence-inspiring braking power needed. 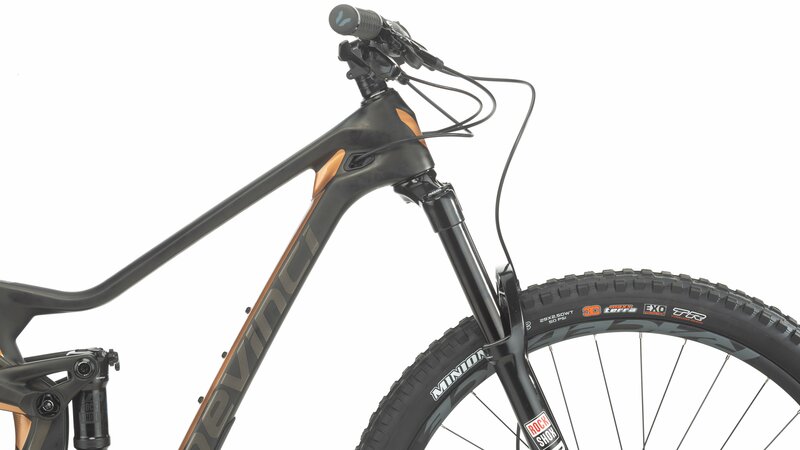 The Troy Carbon 29 GX Eagle comes with a RockShox Pike Charger2 RC DB fork and a RockShox Deluxe RT3 DebonAir rear shock. This will provide a smooth and responsive ride. 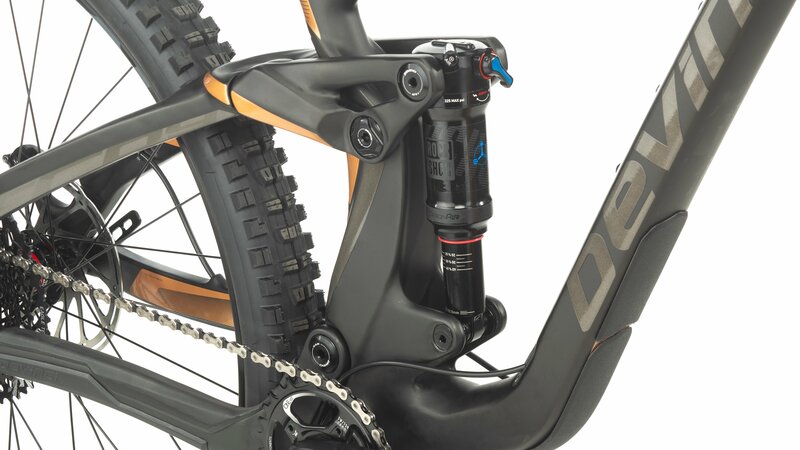 With the RockShox Reverb Stealth dropper post, you'll be able to seamlessly go from descending to climbing with just the press of a lever. 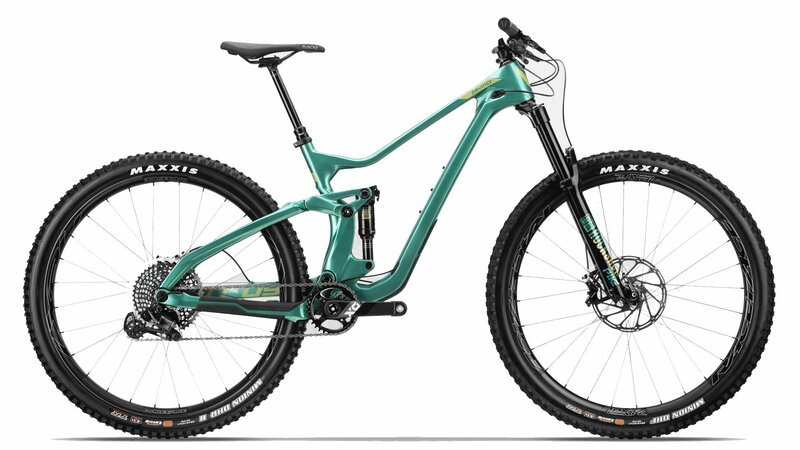 If you're looking for an awesome all-mountain bike that will help push your limits, then you'll love the Devinci Troy Carbon 29 GX Eagle 12-speed.